PCB Design Company in Singapore. PIC-CONTROL provides PCB design and PCB drawing services to clients in Singapore, ASEAN overseas region. We can translate your electronic circuit design onto a PCB (printed circuit board) layout for your mass production use. PCB design is the process of translating your electronic circuit design (schematic) into a PCB layout drawing on a PCB board. PCB design is a specialised task on its own ensuring the practical aspect of the electronic product. A good PCB design provides good electronic signal integrity, simplified usability, low maintenance and ease of manufacturing. You can send in your circuit design for the PCB routing to us using the PCB design order form. Contact us now for your PCB design in Singapore. Our engineer can review or design the electronic circuit. 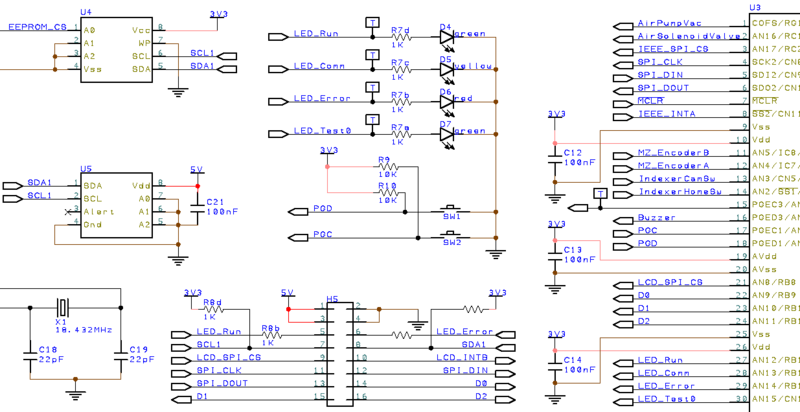 You can check out this page for more information about electronic circuit design. PCB board simplifies the connection of individual electronic component and enables consistent duplication of electronic circuits for mass production. 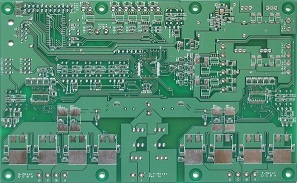 A properly designed board can also reduce wiring, reduces the production cost and production time. PCB design involves the routing of traces to achieve maximum signal integrity. The component layout and trace routing to minimise noise and possible problem, ensuring a more robust performance. 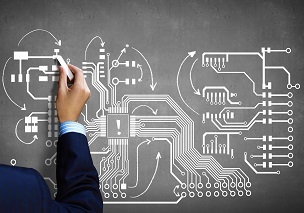 Usability and maintenance are also a consideration in PCB design. How will an operator use the electronic circuit board? Can the PCB help reduce the wiring work? Will the external wiring to the board be much neater? It the connector and their position suitable for the installer? Is the board properly labelled? These are some examples of the future maintenance cost that has to be properly considered during the PCB design process. Manufacturing consideration is of significant importance in the PCB design. It has a direct cost impact on your production and cost. How should the components be positioned so that the manufacturing process can be simplified to provides the maximum yield? PCB design has to consider the commonly available component or footprint to use. Designing the PCB for alternative or multiple options of components to ensure that production will not be affected. PIC-CONTROL takes care of the PCB design work for you. 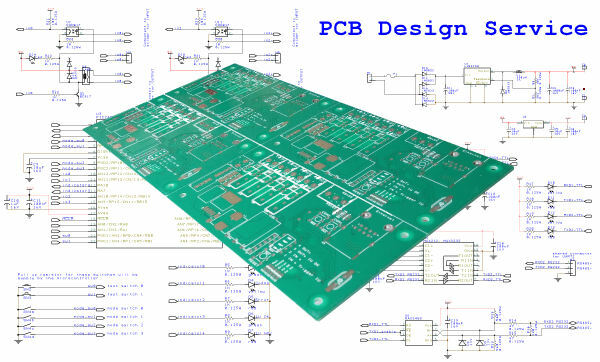 We are more than just a normal PCB design drafter who only draw and layout PCB board. Our drafters are themselves trained electronic product design engineers. We do design review to reduce potential issue before even before the PCB design get started. We will also recommend improvement in your design with better signal integrity. Leverage our experience and specialisation to make your product even better. Our PCB designer cares how people use and interact with your electronic product. We want to deliver a design that is simple to understand and use. We want to deliver a design that is easy to maintain and manufacture. Eventually, these help to minimise cost. PIC-CONTROL specialise in 2 layer PCB board design for the electronic controller, sensors and interface board. 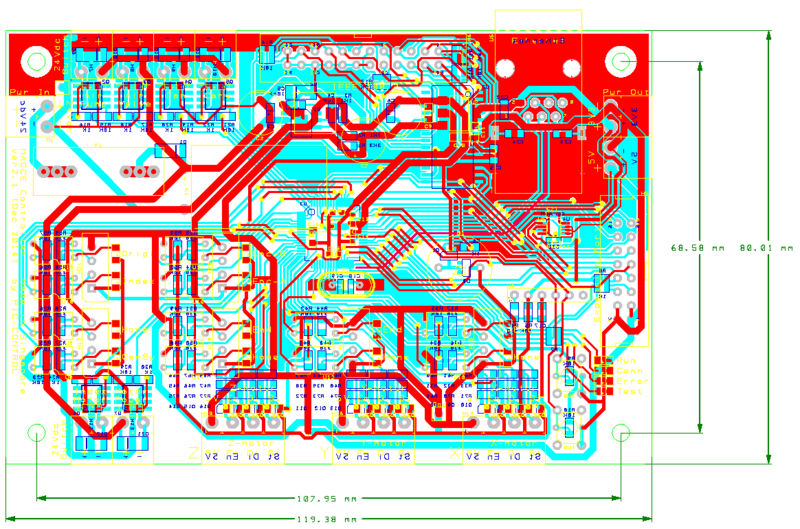 Compare to a multi-layer board, designing a 2 layer PCB board is much more challenging and much more drafting work involved. Check out the reason why we believe and spent much effort to deliver 2 layer PCB design for our customers. Looking for a PCB design service in Singapore to assist you in your circuit board design? Contact us now. We take care in choosing the right component for your circuit when designing the PCB, to keep production and maintenance cost low. Components chosen has to be common and easily available. Surface mount component is usually preferred, as it is usually cheaper then through-hole component. Smaller component help to keep board size small, and lower PCB production cost. This also has an impact on the logistic cost. The assembly can also be more productive for mass quantity production using SMT components. deal with 0603, 0805 passive components. 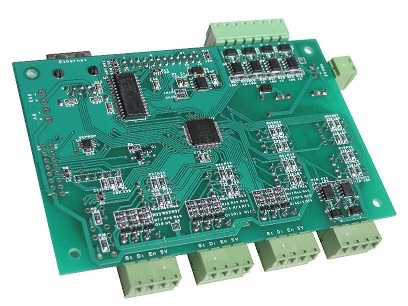 Good PCB design simplifies the use and handling of the circuit board. The following are some of the standard features on your PCB board. Label printing of company name, product code or version, “Made in Singapore”. 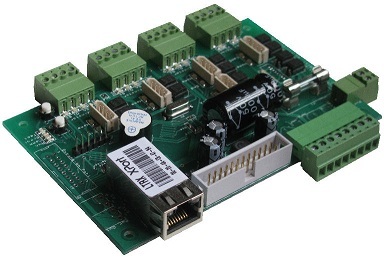 Labels for connectors, indicators, and pin function on your PCB board. Label for jumper and DIP switches indicating the function. The material of the PCB. PIC-CONTROL takes more effort and responsibility in delivering a quality PCB design service to all our customers in Singapore, so to help you achieve a better PCB design and a more efficient production cost. Check out our PCB fabrication if you already have the PCB design file (Gerber file, blueprint), which you want to fabricate. Check out our other electronic manufacturing services too. You can send in your schematic and your design constraints using the form below. We will get back to you with a quotation for the PCB design work.